BEIRUT, Lebanon -- The Islamic State group said Tuesday that its spokesman and senior commander has been killed while overseeing military operations in northern Syria, and threatened to avenge his death. The IS-run Aamaq news agency said Abu Muhammed al-Adnani was "martyred while surveying the operations to repel the military campaigns in Aleppo," without providing further details. His death, if confirmed, would be the latest blow to the Islamic State group, which has been on the retreat in Syria and Iraq, where it has declared a self-styled Islamic caliphate straddling both countries. 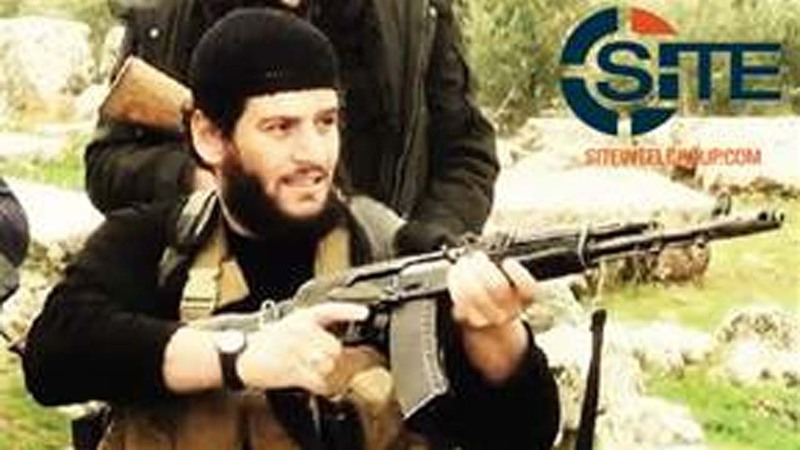 Adnani, a senior leader in the group, has been the voice of IS over the past few years, and has released numerous, lengthy audio files online in which he delivered fiery sermons urging followers to carry out attacks. Earlier this year, he called for massive attacks during the Muslim holy month of Ramadan. He has also called for attacks in Western countries, telling Muslims in France on occasion to attack "the filthy French" in any way they could, including "crush them with your car." He has also disparaged Saudi Arabia and its influential clerics for failing to rally behind the rebels that the monarchy supports in Syria like they did decades ago in Afghanistan. There was no immediate comment or confirmation from Washington of his death. Aamaq vowed to revenge against the "filthy cowards in the sect of disbelief." It said a generation raised in IS-held territory will take revenge. The Islamic State group has suffered a string of defeats in recent weeks, including in Syria's northern Aleppo province, where Turkish troops and allied Syrian rebels drove IS out of the border town of Jarablus last week.